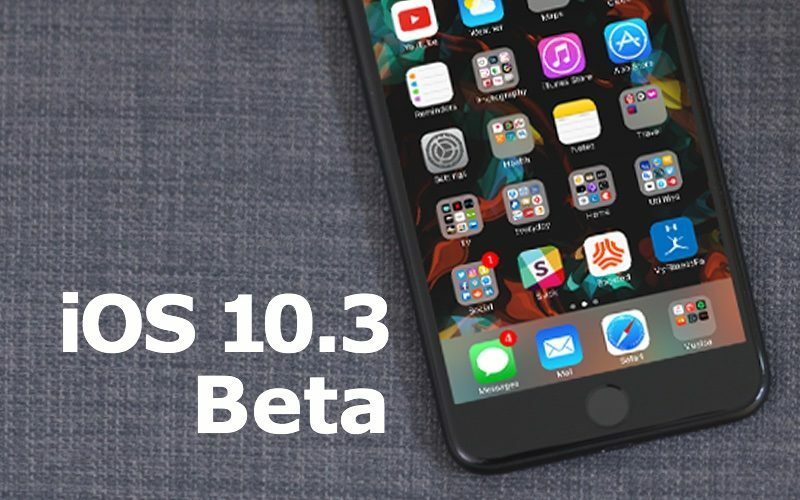 Apple today seeded the second beta of an upcoming iOS 10.3 update to developers, two weeks after seeding the first beta of iOS 10.3 and more than a month after the release of iOS 10.2, the last major update to the iOS 10 operating system. Registered developers can download iOS 10.3 beta 2 from the Apple Developer Center or over-the-air with the proper configuration profile installed. Xcode 8.3 beta 2 is also available with Swift 3.
iOS 10.3 is a significant update, bringing several new features and some major changes to iOS 10. The biggest new consumer-facing feature is a "Find My AirPods" feature, which is designed to help AirPods owners locate a lost earphone. Find My AirPods records the last known location of when an AirPod was connected to an iOS device via Bluetooth and it causes a lost AirPod to play a sound. Apple's latest update also introduces a new Apple File System (APFS), installed when an iOS device is updated to iOS 10.3. APFS is optimized for flash/SSD storage and includes features like strong encryption. Apple plans to introduce some App Store changes in iOS 10.3, allowing developers to respond to customer reviews for the first time. iOS users are also able to label reviews in the App Store as "Helpful" or "Not Helpful," which should help surface the most relevant review content. Apple also plans to limit the number of times developers can ask for a review, allow customers to leave app reviews without exiting an app, and provide a "master switch" that will let users turn off all app review request prompts (said to be included in beta 2). Also new in iOS 10.3 is a redesigned app open/close animation, an Apple ID profile in Settings, a better breakdown of iCloud storage usage, improvements to SiriKit, and more. For a full rundown of the changes introduced in the first beta, make sure to check out our dedicated "What's New" post. - 32-bit app alert - The alert that warns customers legacy 32-bit apps will not work with future versions of iOS now includes a "Learn More" button. The button is not yet functional and simply takes users to the Settings app, but it may be updated in a future beta. - Three UK WiFi Calling - WiFi calling was enabled by British carrier Three late last month, and with today's beta 2 update, the feature is now available for users running iOS 10.3.
anyone know what iPhone wallpaper Macrumors is using on their videos and screenshot in this article? I need to have it. Can't wait for APFS for macOS! PLZ! Having serious battery drain issues on beta 1 on 6S+ -- will randomly run very hot and tick down severely. Hopefully beta 2 more stable. I DFU installed 10.3 B1 and hence I had no heating or random battery drain issues. Let's see if there are any goodies. Downloading now. Me to! I want it now, but for that I'll do a fresh install of the macOS, no way I'll just do a update. Most likely converting the file system. I've found one thing: The Apple Pencil charging issue is fixed.